Ricki and the Flash provides an interesting change of pace for Meryl Streep, who fully envelopes the role of an aging rock star suddenly faced with a family crisis. Sony's Tr-Star Pictures has released the second trailer for this impending drama, which is sure to be a big hit this fall. It continues Meryl Streep's recent delve into the big screen musical following her appearance as The Witch in last year's Into the Woods and her leading role in 2008's Mamma Mia!. 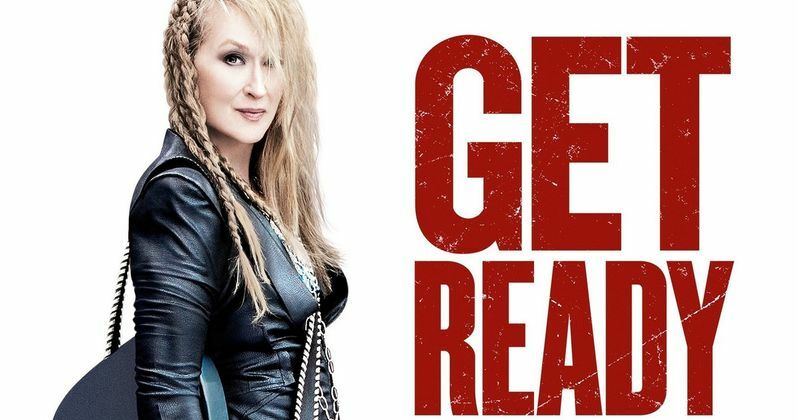 Directed by the Academy Award winning Jonathan Demme and written by fellow Oscar winner Diablo Cody, Ricki and the Flash finds three time Oscar winner Meryl Streep taking on a whole new gig as a hard-rocking singer/guitarist. An original film, Ricki and the Flash is loaded with live musical performances, with Meryl Streep stepping into the high-heeled black leather boots of Ricki Rendazzo, a guitar heroine who made a world of mistakes as she followed her dreams of rock-and-roll stardom. Returning home, Ricki gets a shot at redemption and a chance to make things right as she faces the music with her family. Meryl Streep stars opposite her real-life daughter, Mamie Gummer, as well as Rick Springfield, who portrays a Flash member in love with Ricki, Kevin Kline, who stars as Ricki's ex-husband, and Audra McDonald, who plays Kevin Kline's new wife. The movie is produced by Diablo Cody, alongside Marc Platt, Mason Novick and Gary Goetzman and executive produced by Ron Bozman, Adam Siegel, Lorene Scafaria and Ben Waisbren. Ricki and the Flash hit theaters nationwide starting August 7.